Should You Pay Off Your Mortgage or Leave it in an Offset Account? Some believe the only difference between paying off your home loan account and placing your savings in an offset account is the flexibility of having easier access to your savings by having it sitting in your offset account. 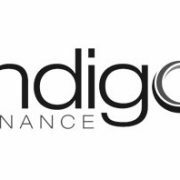 http://www.indigofinance.com.au/wp-content/uploads/2017/03/default-v2.jpg 198 300 wsadmin http://www.indigofinance.com.au/wp-content/uploads/2017/01/indigo-finance-logo.png wsadmin2015-01-29 01:51:542017-03-09 02:42:57Should You Pay Off Your Mortgage or Leave it in an Offset Account? If you had your time again, what would you have done differently? What advice would you give your children about what did or didn’t work for you? Sometimes the catalyst to buying your first home or investment property is when you have found a stable job with a secure income. Unfortunately, though you may be delighted with your exciting new job, your lender may not be so happy. We all hate being issued with a fine but it’s never a good idea to hide that pesky piece of paper in a drawer and hope it will go away. It won’t! Household electricity prices have increased by more than 110% in the past five years and are expected to continue to rise. As a result, many Aussies are looking for ways to save on those dreaded bills. One answer is to ‘go solar’.